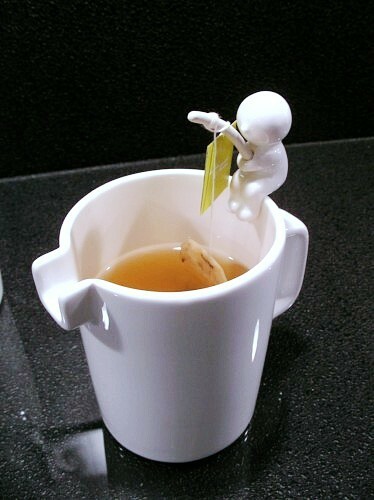 Tired of having the string of your tea bag fall into your cup? This a great solution, and if you like fishing then it’s a bonus for you! Especially if you’re someone who enjoys drinking their cup of tea with the bag left in then of course this is a great idea (which apparently 20% of the viewers on my blog do according to the poll on the left). When steeping your tea bag, just wrap the string around the “fishing pole” and there you have it. I always find these design concepts quite intriguing. What’s your take on this? How do you keep your string from falling in? I’m sure there are many unique and creative ways! Tell me here. The post fishing rod saviour appeared first on The Cup of Life.